Hadley Rille Books publishes exceptional titles in fantasy, science fiction, and historical fiction. Our critically acclaimed authors craft a variety of worlds with complex characters, including every day people who face extraordinary challenges. Most of all, we are proud to give True Heroines (tm) a home. Our novels, novellas, and short stories feature women of all ages and from all walks of life who play key roles in the histories of their people. Looking for your next favorite book? You’ve come to the right place! Browse our titles and join us in the great journey of imagination. Where did Hadley Rille come from? In 2004, Eric T. Reynolds recruited 17 award-winning science fiction authors to contribute to a new anthology. He asked them to transport themselves back to science fiction’s Golden Age (1939 – 1959) and write a science fiction story as if writing it during that time. He shopped the book around to a dozen publishers. When none picked it up, Eric decided he couldn’t let a book like this go with its caliber of authors (including a Foreword by Arthur C. Clarke); he set up the indie press, Hadley Rille Books to publish the book: Golden Age SF: Tales of a Bygone Future. He had several hundred hardcovers printed, loaded up the van with boxes of the book in August 2006, drove out to Worldcon in Anaheim, and nearly sold out of his stock in the Dealer room. With this first book’s success, Eric decided to keep the press going, publishing nearly 50 highly acclaimed titles in 10 years, with its first “Archaeology Series” novel in early 2009, and its first Fantasy novel in late 2009. More novels followed, continuing a consistent line-up of well-reviewed Fantasy, Historical, and Science Fiction novels. Who is behind Hadley Rille? Meet our friendly and experienced staff of publishing professionals! We work tirelessly to bring you the BEST in science fiction, fantasy, and historical fiction. Thanks for visiting us today, and welcome to Hadley Rille’s growing family of readers, authors, editors, artists, and booksellers. Eric has edited almost 50 highly-acclaimed Anthologies, Collections, and Novels. He has also published short fiction and several non-fiction articles about space exploration and history of technology. Eric is a member of Broad Universe and and a member of SFWA. You can visit Eric at his blog. Terri is a fantasy author with three novels published, and more on the way! She is a graduate of the 2007 Viable Paradise X worskhop. She lives in rural New England with her family, cats, and various magical creatures that end up in her stories. Visit Terri at her blog and at Heroines of Fantasy. Kim has published several short stories and three novels. She is a member of the English faculty at the University of California, Fullerton. You can visit Kim at her Amazon page, blog, or at Heroines of Fantasy. Thomas Vandenburg studied oil painting at Central Washington University. He lives with his wife, Kelle, and daughters in Bothell, Washington. You can visit Thomas at his website. A love of the age of reason makes Heather see science in the light of magic, and magic in the light of science. And over it all, wonder. You can visit Heather at her blog. Ginger is a teacher on special assignment for the Corona-Norco Unified Scholl district who moonlights as an artist, illustrator and writer when not training teachers. In between teaching, illustrating, and writing, Ginger spends time with her husband and son in Eastvale, California. Editing, Social Media, Public Relations, Website Maintenance. Megan is a graduate of the University of Kansas and holds a Bachelor’s Degree in English Literature and Journalism. She works as both a bookseller and a cafe server at Barnes & Noble Booksellers. 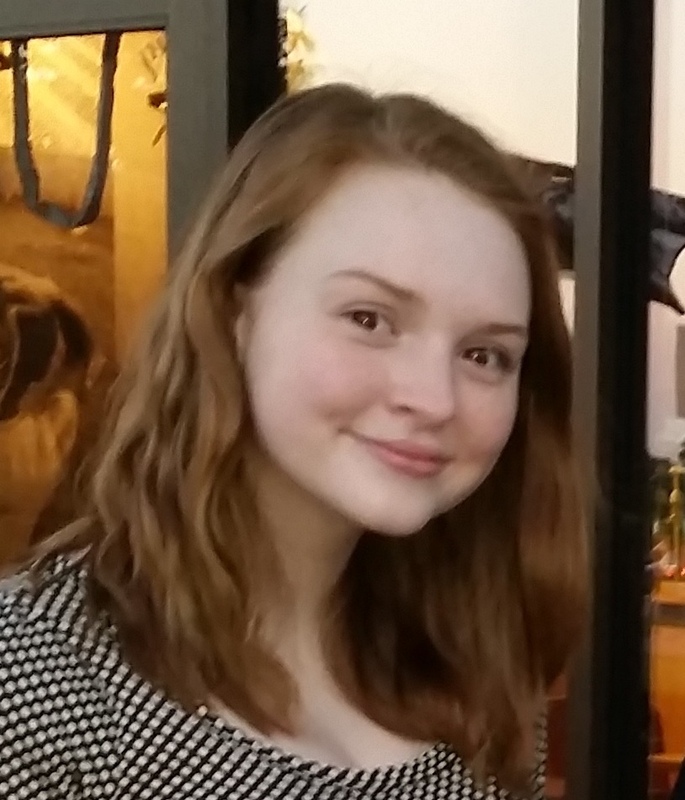 Alex plans to attend college at the Savannah College of Art and Design to study theatrical design. She is active in her after school theatre program, is a copy editor and designer for her school newspaper and continues her internship at Hadley Rille because she has a passion for reading and editing.